Bianchi are true legends of the cycling world – established in 1885 in Via Nirone in Milan, Bianchi is the world’s oldest bike brand. They have been at the fore-front of bike technology, performance and style for over a century, and it shows – sheer class and attention to detail shines out of every frame. Building on a heritage of race winning legends, like Coppi, Pantani, and Gimondi, and 15 Grand Tour wins, the current Bianchi range boasts top level thoroughbred race machines, specialised long distance racing or sportive bikes, world cup winning mountain bikes, as well as class leading all-rounders. As the UK’s number one Bianchi store for the past decade, our expertise is unparalleled in the UK market. We are proud to be a centre of excellence for Bianchi, with technical and product knowledge that sets the UK industry standard. Bianchi is a premium performance bicycle company characterised by product driven technology, Italian design and innovation. Bianchi believes the frame is the heart of the bicycle and it is constantly investing in material technology with the aim to produce the best bikes in the world – their knowledge of bicycle handling is unparalleled, resulting in bikes that are a joy to ride. All frames are designed and developed inside the Bianchi headquarter in Treviglio (near Bergamo, Italy), as are all graphics and colour combinations, from their iconic celeste colour to the freedom of custom Tavalozza paint designs. 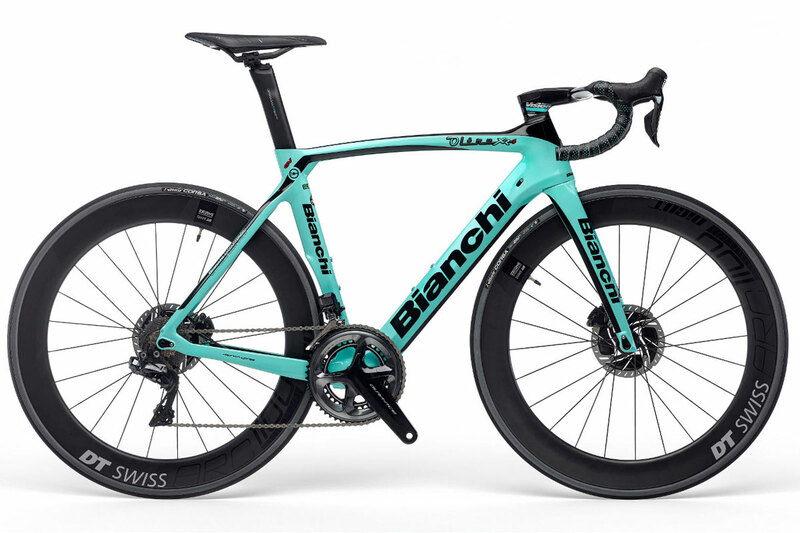 With its Reparto Corse (Racing Department), Bianchi leads the way with race proven geometry and has continually innovated with new technology for over a century. Its latest patented material Countervail continues this tradition to the current day, delivering a ride quality that is simply remarkable. Following their success in the past four model years we are once again offering exclusive Squadra Edition models across much of the Bianchi range, featuring superb upgrades at minimal cost – such as full Shimano or Campagnolo groupsets, and higher performance wheels. 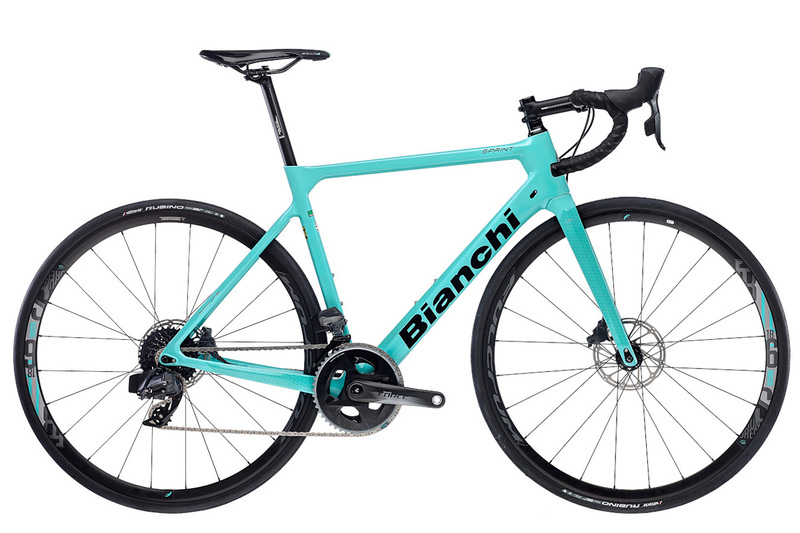 The new 2019 Bianchi Infinito CV Disc carbon bike is the ultimate choice for long rides. Faster and smoother, the latest Infinito CV also features enhanced braking control, tyre capacity and aerodynamics. The Oltre has always been Bianchi’s most aerodynamic and stiffest road bike, but the Oltre XR4 takes both of these properties to new levels, all thanks to Countervail. For 2019 the XR4 is also available in a new disc braked version. The Oltre XR3 is inspired by, and derived from, the XR4. The latest addition to Bianchi’s Countervail range of high performance aero road bikes is available with a choice of rim or disc brakes. 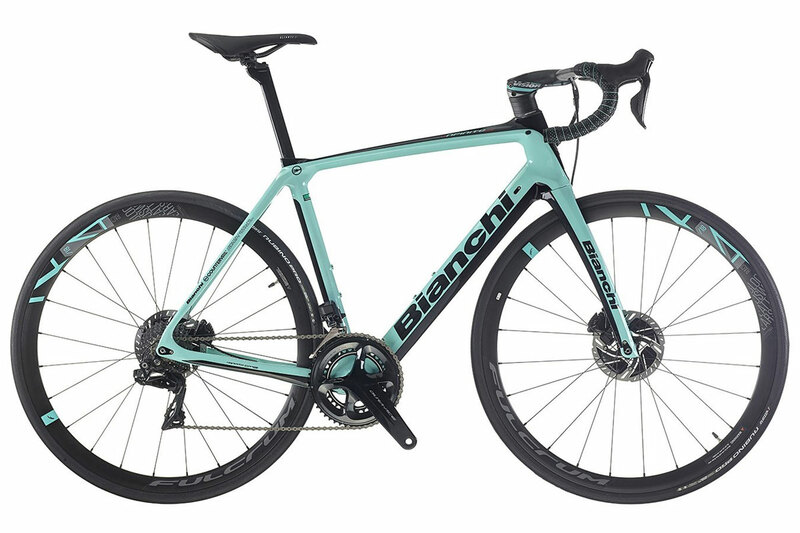 Bianchi’s aim in designing the new Specialissima was to build the world’s best ultralight bike. Not the absolute lightest, although it’s pretty close – simply the BEST! 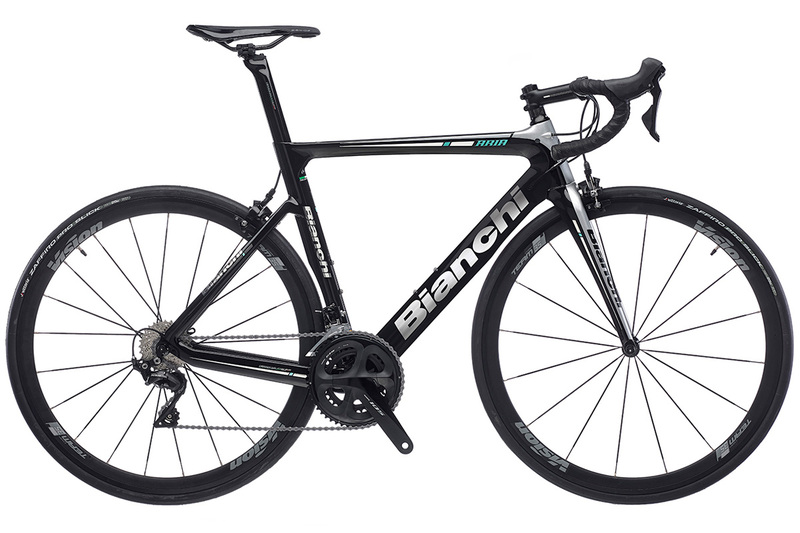 The Bianchi Aria is designed to offer maximum aerodynamic performance without compromising the ride quality and comfort you would expect from an all-round fast road bike. Now with choice of rim or disc brakes. 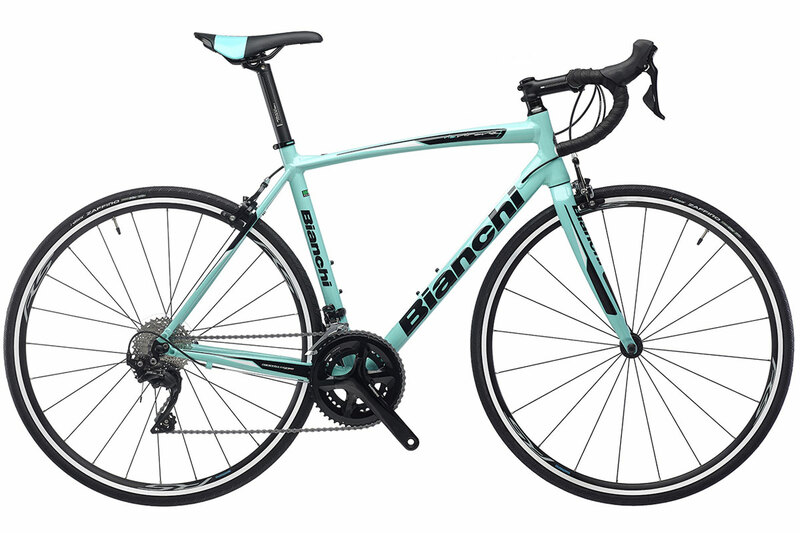 The stunning Bianchi Sprint is an all new bike for 2019, inspired by one of their iconic race bikes of the past – it’s a road racing bike that is accessible to everyone, not just those involved in the world of competitive road cycling. The ride of the Sempre Pro is refined, agile and smooth – and all at an accessible price point for such an accomplished all-round fast carbon road bike with unmistakable Bianchi lines. 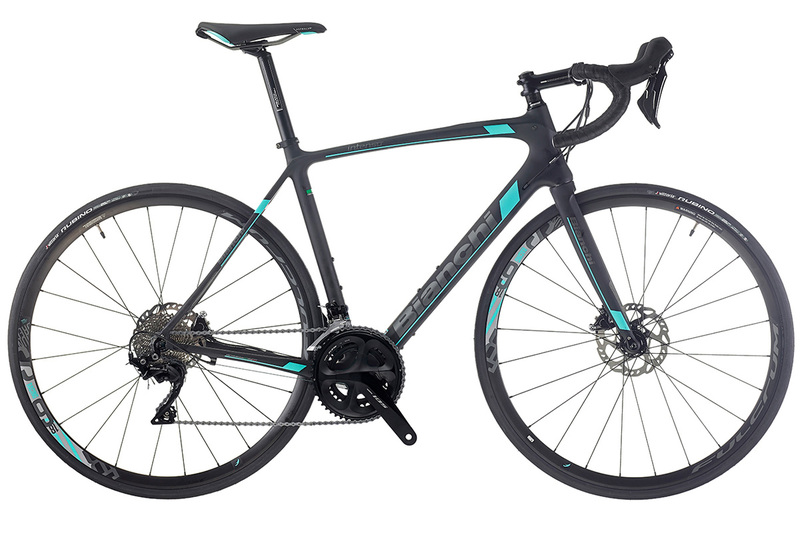 The new Bianchi Aria E-Road is the perfect solution for genuine road riders who are looking for a little assistance in extending their riding horizons, while retaining the look and feel of a pure high-performance road bike. Bianchi’s classic fast endurance bike, the Intenso is designed for anyone taking on a sportive or who just enjoys riding swiftly in comfort over less than perfect roads. Available with both rim and disc brakes. One of the hits of Bianchi’s line-up, and with bags of classic Bianchi style, the Impulso Allroad gravel/adventure bike is perfect for anyone looking to ride through a true mix of terrain. The Via Nirone 7 has become a Bianchi classic, offering classic looks with a highly engaging and comfortable ride at an affordable price point. Now also available in Allroad disc brake version.